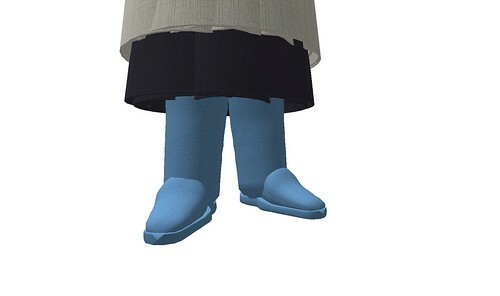 I sculpted boots, originally uploaded by Lorimae Undercroft. I made myself some boots! I colored them blue so they’re easier to see. They’ll be brown normally. I like them :) They’ll go with my Prairie Dress outfit I’ve been working on yay! I know I saw this somewhere a while back but I couldn’t find it so I don’t know who to credit for the original knowledge they shared. I couldn’t exactly remember how it was done, so I just gave it a shot. I figure the worst that happens is I delete the broken mat and rez a new copy! Edit the mat and pull the Sculpt Frame to your inventory. Rez it on the ground. Pull the Sculpt Prim out of that frame and rez it too. Pull the script out of the original Sculpt Prim, put it in yours. Rename yours to match the old. Then put it all back together, deleting the original copies and leaving yours. If you break your mat, well.. rez a new copy! If it works, then save this mat as a special one to use in the future. Yay for you! 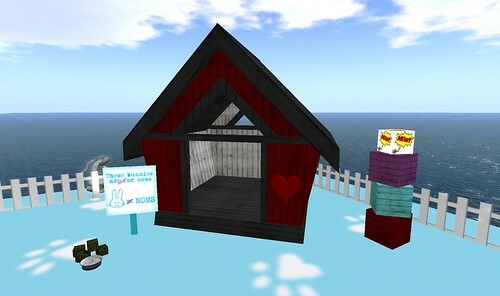 Little bunny barns, originally uploaded by Lorimae Undercroft. I thought I blogged this but I don’t see it here! Danish Visions has some classes, I’ve never attended one but last month they had Qavimator courses but they were held at 12am SL time. Eek! I might still be up, but I am usually not really awake enough for something difficult. I could do an easy build class, but not something that I struggle with! This month they hold them at Noon SL according to that page! :) I hope that is correct, cause I am so gonna go. One to do poses, I can do some but I don’t feel like it’s something I’m super confident about. Animations is where I struggle. I took the NCI course maybe a year and a half ago, I should take it again if it’s still held. My animations are very spazzy. I tried to make one for my turtlemobile (it’s somewhere around the water on my land, a goofy prim turtle car) so that when I sat, I randomly would look to the left, to the right, wiggle my foot or something. But it was more like jacked up on an overdose of an epinephrine shot (if you got bad asthma, you know what I’m talkin’ about probably) and caffinated pepsi. Look left, look right, do it really fast, whoa crap whiplash!!!!! Uh hum… That’s what it was like. You won’t be able to ride the turtle, he’ll tell you he’s too tired. That’s so people don’t ride him off my land and leave him all alone and frightened in someone’s back yard. He’s a crybaby. Right now I'm at a bunny auction at Bunny Wranch. It's in voice, if you show up. There's a bit of a whirring static on her mic. Who sets the prices for their bunnies, the actual bunny owner or is there a standard kind of? Ohmygosh she's funny! #10 bunny has a little sword and she's been going on with little funny stories about the bunny will shank anyone who gets too close haha! 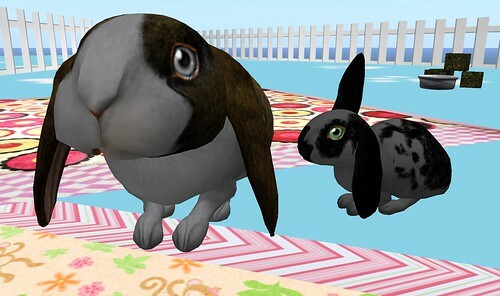 Ooo peeps want this bunny, 5,000 for a pally bunny! I went to RP Class #2 on Emotive RP, held out at Deadwood too. I went AFK to get water and use the catbox, then came back to see the class was over haha! It only took 30 minutes. But, I got class notes and a list of good emotive words! She did good at showing the difference between blah, but okay.. to wow spectacular. I felt much better there as a human in my Prairie getup as opposed to being super bright in pink and blues as a tiny hehe. I fit in way better! Then I'll dig out some cute poses for us to make some box ads with! :) Ugh it will be super weird to be all…. grown up… for photos! I'll have to put together a good skin/shape. I've got lots of different skins, free from mM boards and stuff but they never look good as a childav, too much eyeliner hehe. The boots is something I'm not sure about yet. I will make them but not sure if I can sculpt or if I will need to prim them instead. I've got a sole done, and I'll try to sculpt the upper part in a bit. All I need is to sculpt it so it covers the foot. Then I'll decide if I do extra prim work on them. I think I'd like to make them laced, but that might just be unnecessary since it'll likely be hidden by the skirt anyway. Why prim up what no one's gonna see anyway? Chewy and Nomalina, originally uploaded by Lorimae Undercroft. Weird light, found it!, originally uploaded by Lorimae Undercroft. I’m looking at classes on event search (yay 1.23 viewer!) and setting notify on the ones I want. I kid you not, there is a “free autopsy class rp” haha! Gross! Best of all, read the notice about it! It made me giggle. It’s held on May 8th, btw if you wanna read (or maybe even go haha). You won’t see me there. If you go, tell me about it.. but don’t make me vomit if it was gross, when you tell me! May 7 Art Walk Sculptures_001, originally uploaded by Lorimae Undercroft. This year I went with a theme for snapshots. I post processed all the pictures to help with that theme. I call the set “The Lost Photos”. 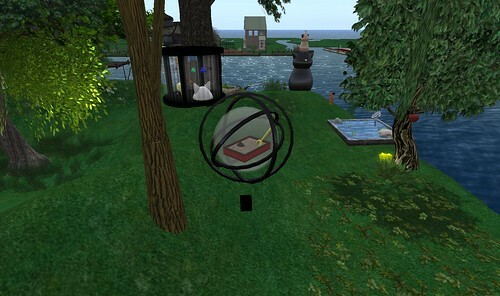 Photos taken by a Steampunk Kitten, many were taken in Steampunk sims. If you hover over each photo it’ll tell you what sim it was taken in, but here’s the list as well. So please visit and see my art as well as everyone else’s art too! It may take some time to rez your first visit, so just be patient. 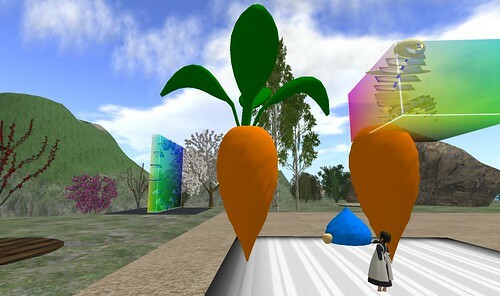 sculpted carrot, originally uploaded by Lorimae Undercroft.